4th of December has arrived, & it’s time to reveal day four’s BB Advent window. What better way to spend the weekend than doing a touch of Christmas shopping, or some Christmas baking. Perhaps you’d prefer to snuggle up with a hot chocolate and a Christmas movie. Today it’s #followfriday, and we are sharing with you an Instagramer we love! Full of festive pictures, and gorgeous recipes. We introduce Ashley of Gather & Feast. 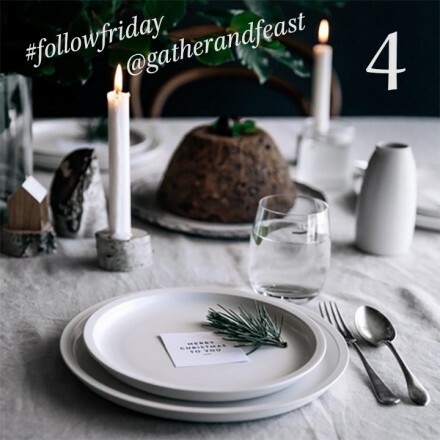 Armed only with her love of food, and with encouragement from her loved ones she decided to set up her food blog, Gather & Feast, and boy are we pleased she did! Check out her blog, there are some stunning recipes, and even some freebies such as Christmas tags – perfect if you’re wrapping presents this weekend. Take a look for yourself on her Instagram, filled with stunning photography and why not give her a follow, you won’t be disappointed! If you are out and about doing some Christmas shopping this weekend, why not pop into any of our Brasserie’s, put those bags down and relax with a hot chocolate or even a cup of mulled wine! Don’t forget to share pictures of any other festive adventures you are having, whether it’s roaming a Christmas market or decorating your Christmas tree. Just tag us using the #bbadvent and we will enter you into a weekly prize draw to win some exciting prizes including some of our beautifully designed bespoke Christmas crackers, our gorgeous charity Christmas cards, and Brasserie Blanc gift cards to be spent in the New Year.